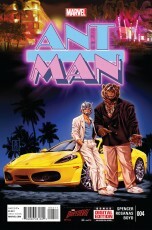 SOLICITATION: • Ant-Man has to pull off an impossible break-in, but he can’t do it alone. Which means… he’s gonna need a new gang! GEORGE: Possibly my favorite comic on the stands (and definitely the one with the best cover this week), Ant-Man continues Nick Spencer’s winning streak. It’s funny, creative and always enjoyable. SOLICITATION: This is it! The entire DC Universe, from the dawn of time through The New 52, must fight to survive against a threat that bends the Multiverse to its will. Your favorite characters from every era and every forgotten series are all here! But are you going to say hello again just to say goodbye forever? The stakes have never been higher as the heroes of Crisis, Zero Hour, Elseworlds, and more are brought together for Convergence! ROB: I’ve been mostly out of the DC loop for awhile now, but this is probably going to be a must see event and I’m looking forward to a number of my favorites returning. STEPHEN: Mega battles! Heroes from the multiverse joining together to… fight? Defeat evil? Save the Multiverse? I have no idea, but I’m jumping on board this run to see what DC is pulling out of its hat and offering up for fans as the company moves west. 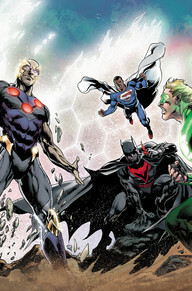 SOLICITATION: STARRING HEROES FROM THE PRE-FLASHPOINT DCU! Two-Face is fighting another world’s Harvey Dent, and it’s up to Renee Montoya as The Question to help him beat the odds. 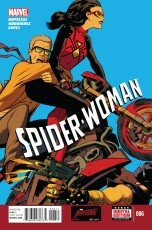 CHRIS: Renee Montoya’s Question, aka DC’s biggest squandered opportunity, finally has a book all her own. In a perfect world this will sell like crazy and DC will make it an ongoing. In reality, I’ll probably really like these issues and that’s all I’ll get. But hey, something is better than nothing! 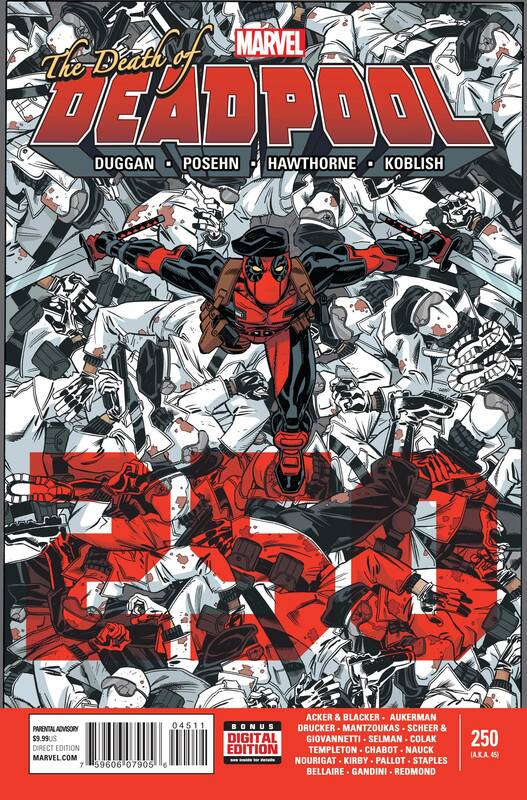 That’s right-if you add together all the Deadpool series (creatively) issue 45 is the big 250th issue of Deadpool! What better way to celebrate than to end the series? In our over-sized main story, ULTIMATUM comes at Deadpool for revenge, so he has no choice but to take them on-ALL OF THEM. Then, in an Infinity Gauntlet crossover, what would Deadpool do if he got the six gems from Thanos? 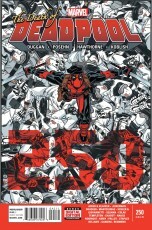 Plus: a slew of stories showcasing Deadpool’s closest friends and allies by special guest writers! Also, SPOILER: Deadpool dies at the end of the issue. GEORGE: Duggan and Posehn have reinvigorated Deadpool after years of misuse at lesser writers’ hands. Funny, at times meaningful, always entertaining, Deadpool has been consistently strong. I’m hoping the advertised Deadpool death is some sort of swerve, since it’s clear this one-time (always?) joke character has a lot left in the tank. SOLICITATION: Howard’s first big case has taken him across the universe and landed him in the clutches of THE COLLECTOR! But he’s not alone as the very popular ROCKET RACOON is a prisoner as well! 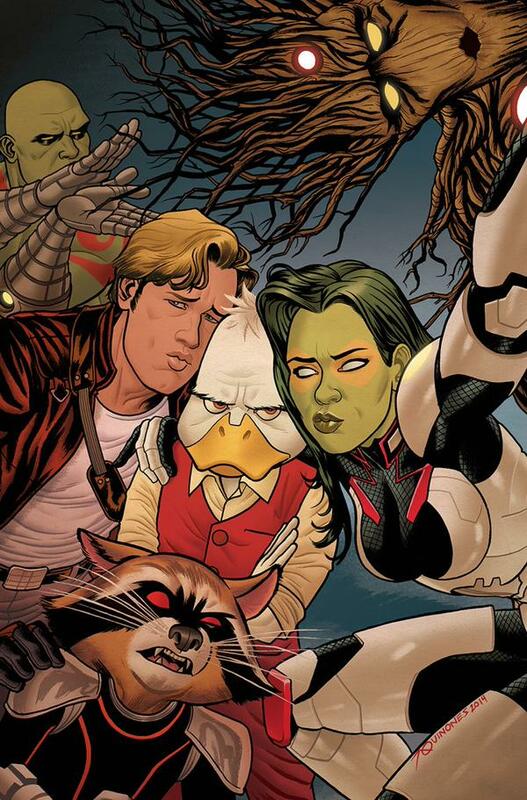 Have you ever seen a comic book sequel to a post-credits scene in a movie? Well, you will now! Join comics legend STAN LEE in reading this issue (I’m assuming he’ll read it. Hi Stan!)! 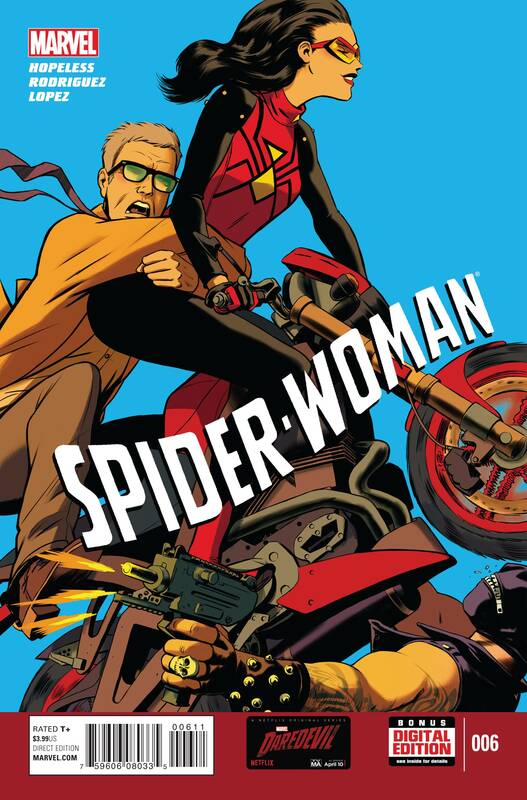 CHRIS: Marvel is doing a good job of putting out enough diverse titles that it’s easy to find something to like even if you’re not into the whole superhero thing. 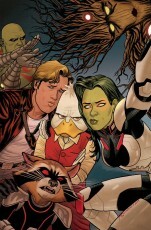 Howard the Duck is one of those titles. 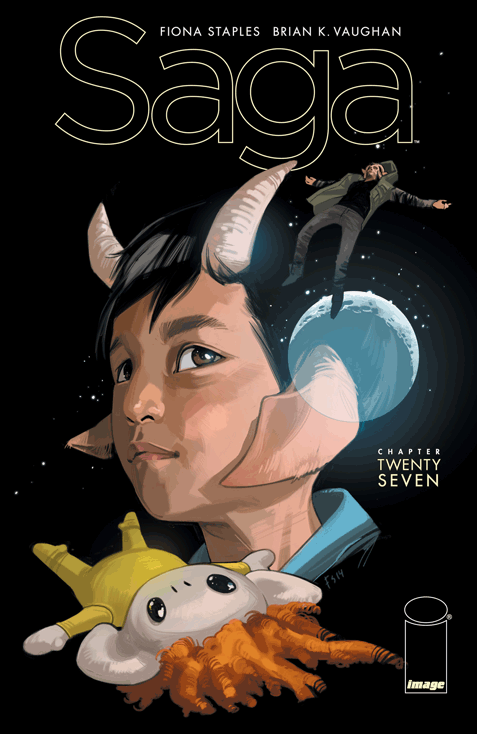 Issue one’s hilarity, both in visuals and story, proved that Zdarsky has a handle on this book. I highly suggest you drop your bills on this one. Ha, get it? Bills..Du…screw it. SOLICITATION: With the help of Bob and a rather twisted spirit entity, Harry has tracked a killer to Chicago’s deadliest supernatural neighborhood: the labyrinthine network of subterranean tunnels known as Undertown! It’s a place even powerful mages fear to tread, but Harry has little choice if he wants to prevent any further bloodshed. At least he’ll have Molly with him…if, of course, she survives her own encounter with their enemy’s remains. WAYNE: Nobody does magic like Harry Dresden, and this latest comics miniseries is quite a lot of fun! Bob, Harry’s “talking head,” is up to no good, and that’s always worth reading, so don’t miss it! SOLICITATION: Gather ’round in the June Alley Inn for more mouse tales. Dustin Nguyen (Batman: Li’l Gotham) tells the story of a dying raven, while Kyla Vanderklugt (Jim Henson’s The Storyteller: Witches) spins a tale of lovely and brave mouse dancer. And C.M. Galdre (Duelist) and Nicole Gustaffson (Nimasprout) tell the story of a town whose protective walls have fallen. WAYNE: This volume is continuing the excellent tradition of the previous ones, and the first issue hit the ground running, so don’t miss it! 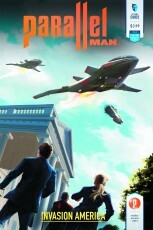 SOLICITATION: “Invasion America” reaches its exciting conclusion as Agent Nick Morgan and his doppelgänger, Nicholas, race to prevent Mackenzie Cartwright from dropping the Rapture Device on our Washington D.C. It’s a game-changing issue featuring triumph, tragedy, and a betrayal that will reveal the ultimate enemy of the multiverse. WAYNE: This has been a fantastic sci-fi miniseries, and I can’t wait to see what happens next in this wonderful franchise! 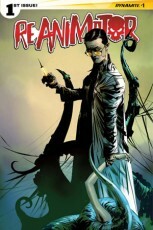 SOLICITATION: Dr. Herbert West, The Reanimator, returns! Setting up shop in New Orleans, the brilliant Dr. West continues his life’s work: the revival of the dead by purely chemical means. To accomplish this task, he recruits Susan Greene, a young and wide-eyed pharmacologist fascinated by his macabre experiments. Initially unfazed by West’s unorthodox practices (including how he funds his research – by selling zombie brain fluid as a narcotic), Susan may regret her scientific curiosity as sinister forces – those aligned with Elder Gods and Haitian Voodoo – begin to align against the Reanimator! 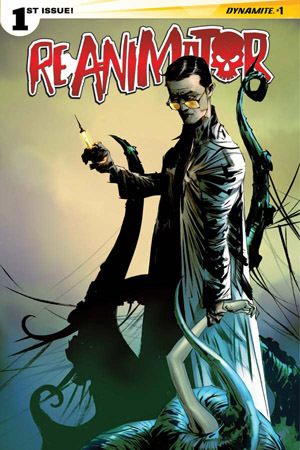 Dynamite Entertainment proudly resurrects The Reanimator, H.P Lovecraft’s notorious mad scientist, in a fear-fraught four-issue miniseries! Take what you love best about the television shows ‘Breaking Bad’ and ‘Walking Dead’, throw in Cthulhu tentacle terror and backwater Louisianan superstition, and you have the all-new horror comic hit of 2015! CHRIS: I love Reanimator and remember enjoying what Dynamite did with it way back it the day. To see another Reanimator tile coming out has me giddy but the fact that this is staying closer to the H.P. Lovecraft story rather than the movie makes me even more excited. 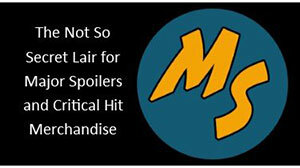 Don’t get me wrong, the movie is awesome, but we’ve seen enough comics pulling from that. It’s time for more Cthulhu! STEPHEN: “It wasn’t quite fresh enough!” was the catch phrase of one Dr. Herbert West that showed H.P. Lovecraft was having fun with his story and character who wanted to bring the dead back to life. 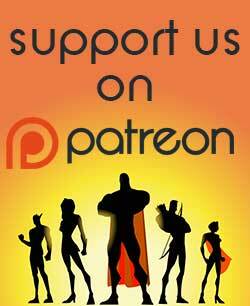 What wilL Dynamite Entertainment do with the property? I’m sure a lot of horror awaits all of us, and I can’t wait to read this first issue. 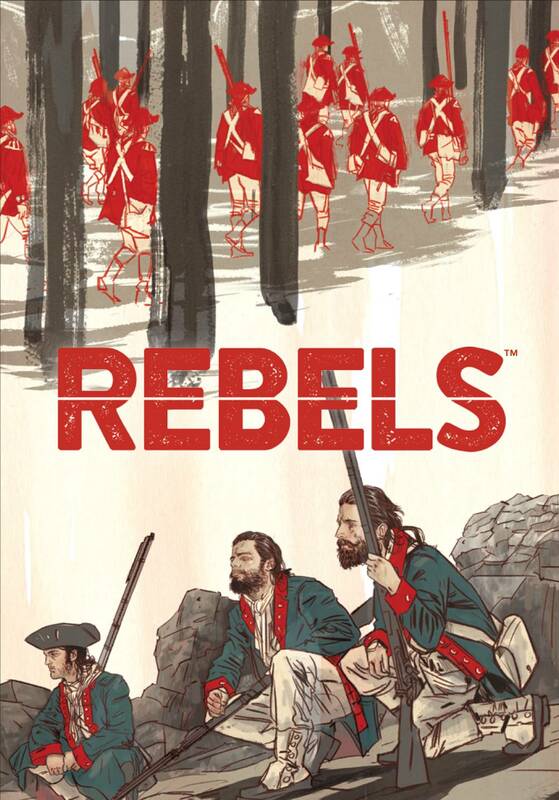 SOLICITATION: In a rush of great public resistance to an oppressive and excessive government, a homegrown militia movement is formed in rural America. This is not 2015, but 1775. With the war for independence playing out across the colonies, young Seth and Mercy Abbott find their new marriage tested at every turn, as the demands of the frontlines and the home front collide. GEORGE: Brian Wood’s strongest work was his historical Viking epic, Northlanders. 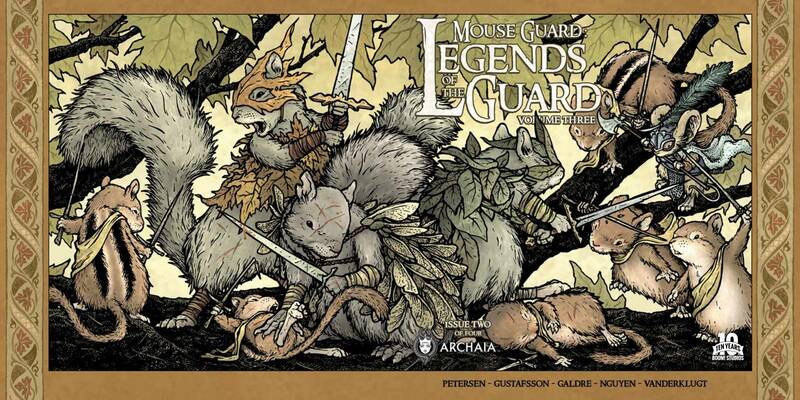 His more recent work on The Massive, Moon Knight and Star Wars, amongst others, has been good but rarely great. 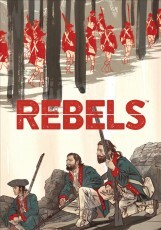 I’m hoping that by returning to historical fiction, Wood gets that spark back. 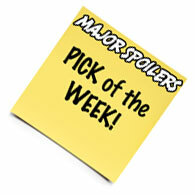 ROB: Vaughn’s latest masterpiece just keeps rolling into greater and greater stories. With the strange alliances that keep getting made it’s only a matter of time before everything falls apart, again. 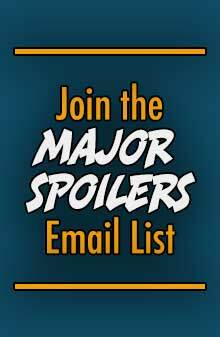 SOLICITATION: • Someone is kidnapping the loved ones of super villains and because of their connections, no one cares. 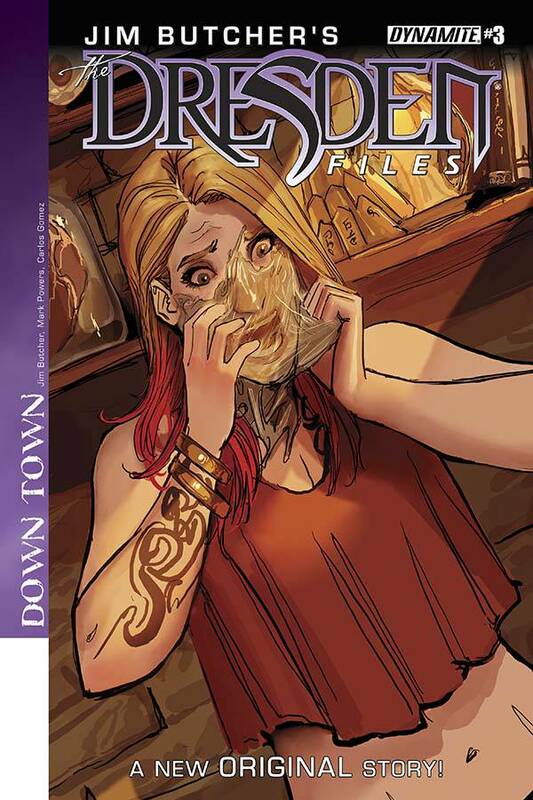 ROB: Jessica’s first fully solo issue was fun and well worth the read. 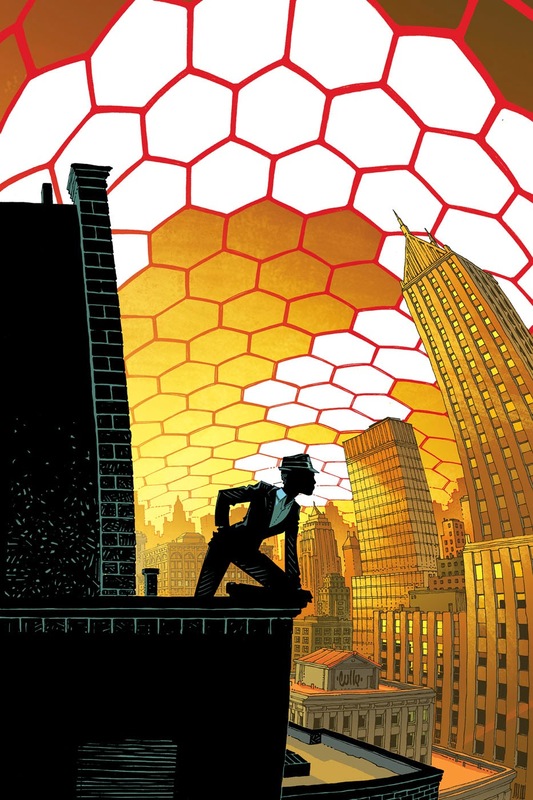 Hopeless is setting up an interesting mystery that actually seems like it would need that special super-heroic touch.